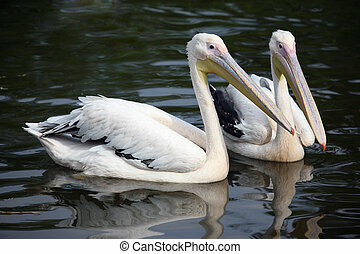 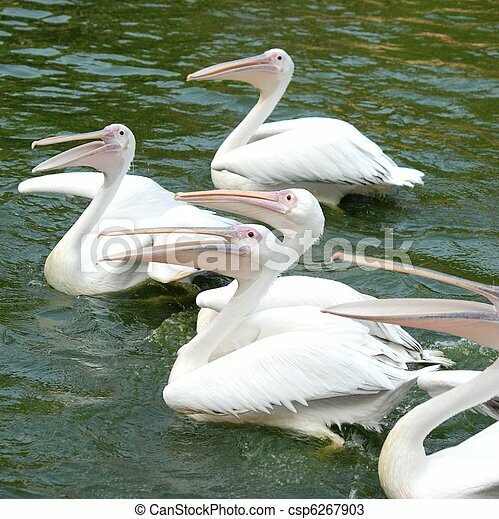 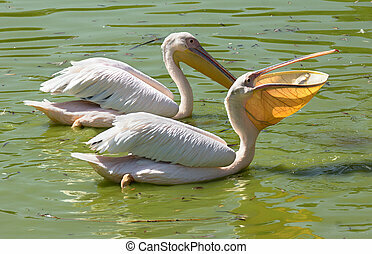 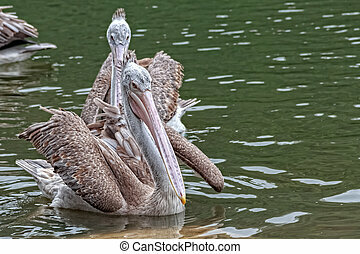 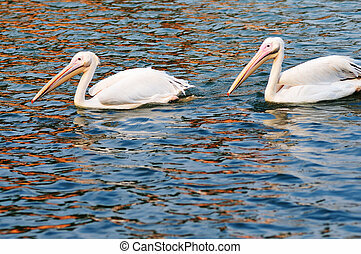 Pelican birds swim in lake. 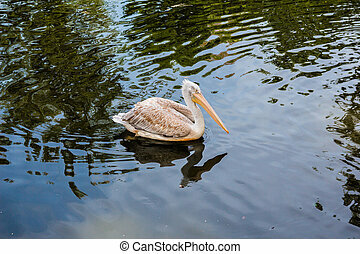 Pelican floating in the lake. 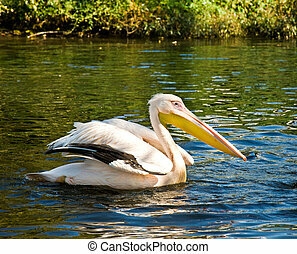 Pelican swimming in lake and looking for fish. 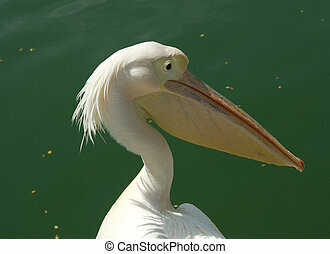 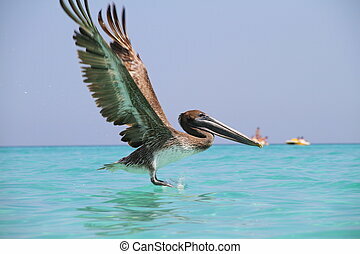 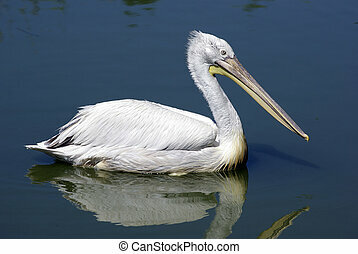 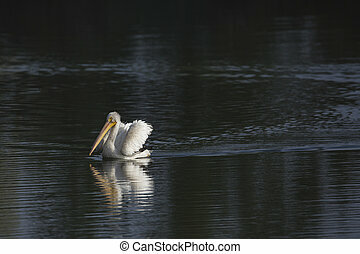 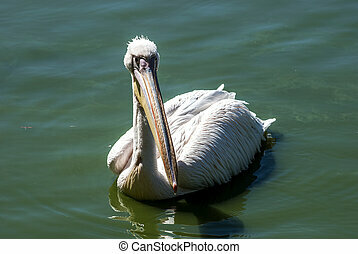 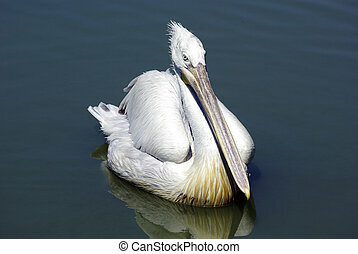 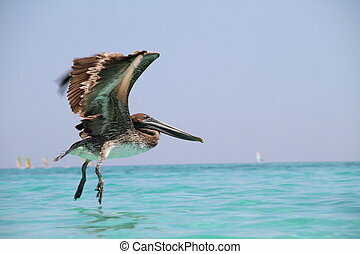 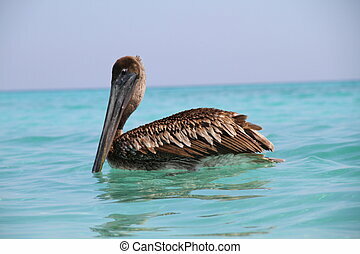 Single pelican is swimming in lake. 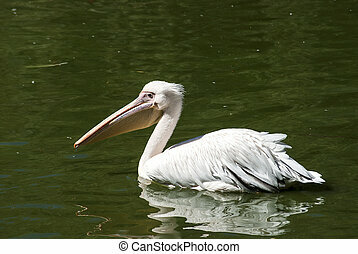 Zoological garden.